These are great for football season! 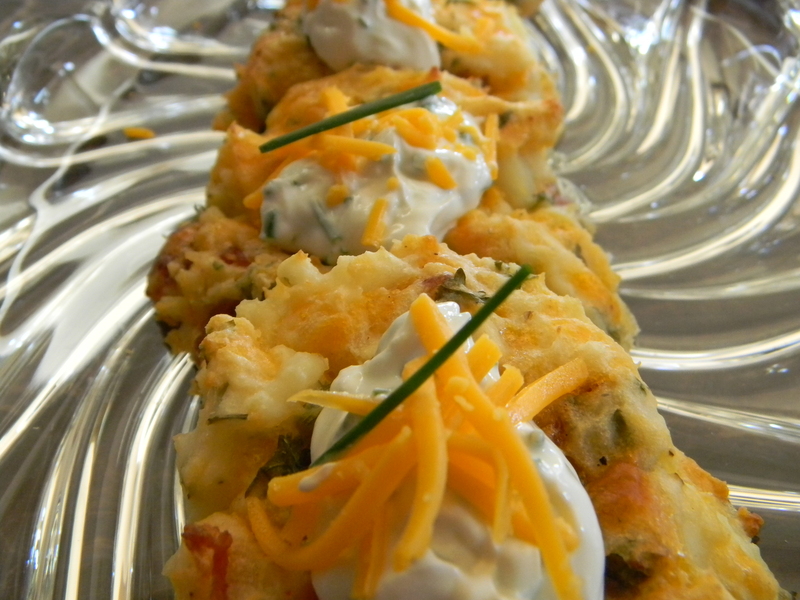 Been thinking of ways to make a potato skin into something easier and fun. My hubby and I were watching the ASU game today and I thought what a fun food to compliment our chicken wings. Needless to say my husband was in love with these gooey little potato cakes. 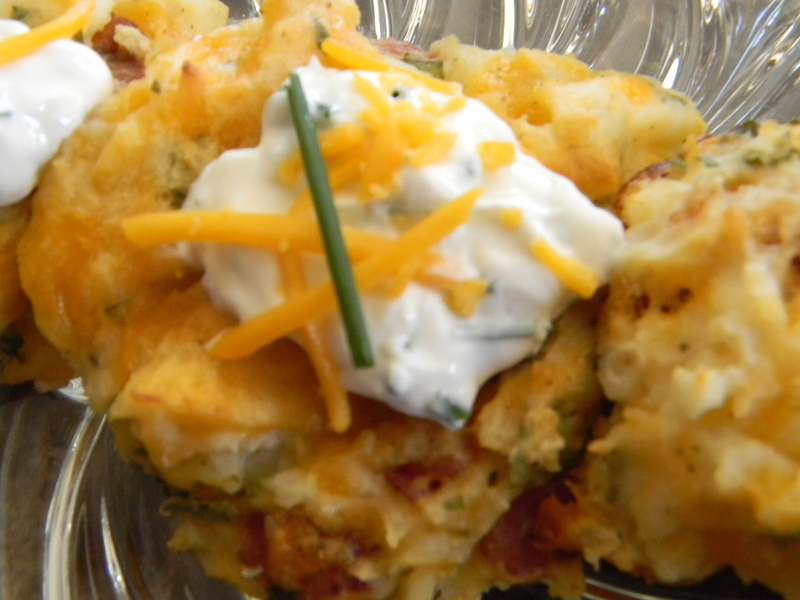 These can be made without the bacon as well for a vegetarian version. 1.) Preheat oven to 350 degrees. In a large pot of boiling salted water, add potato chunks and cook over medium heat for 10-12 minutes until fork tender. Drain and set aside to cool for about 5 minutes. 2.) 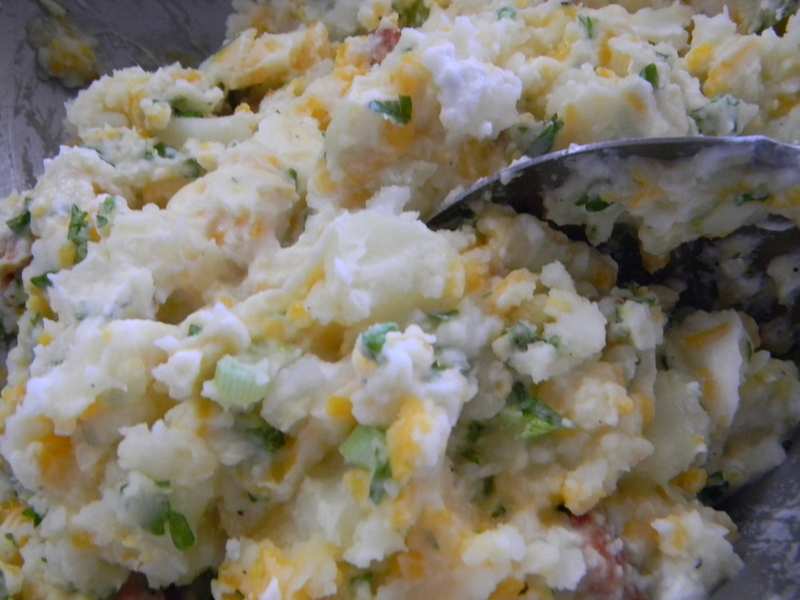 In a large bowl, stir together potatoes, bacon, green onions, parsley, cheddar, baking powder, sour cream, hot sauce, salt and pepper. 3.) 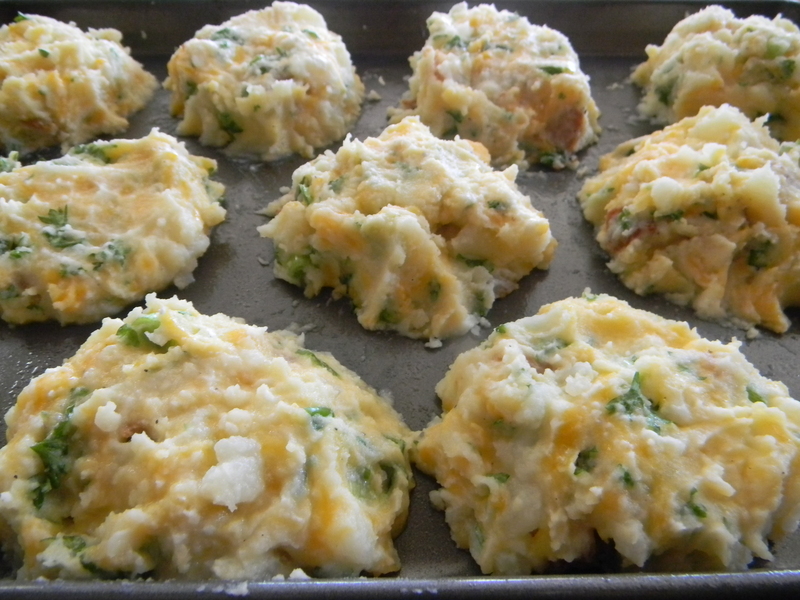 Spray a baking sheet with cooking spray and spoon potatoes onto pan into 12 even patties, flattening the tops of each one. 4.) Bake for 1 hour until browned. 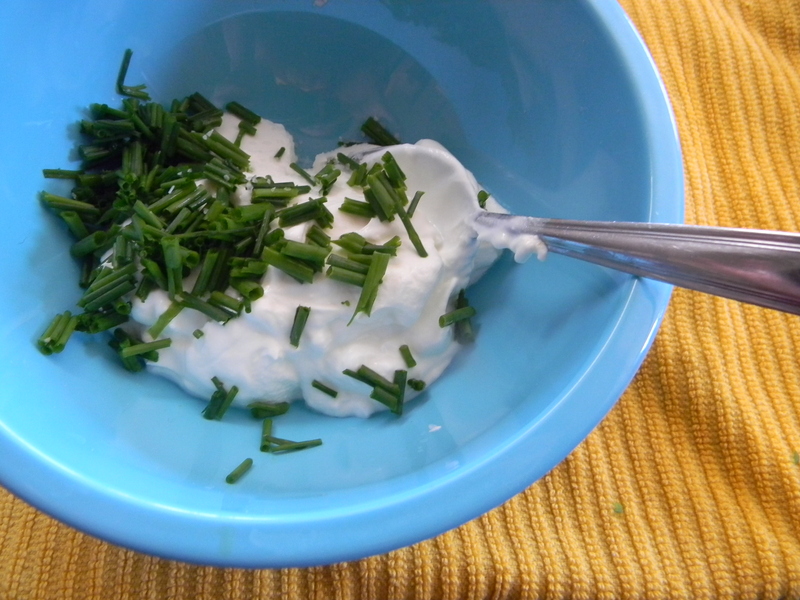 Remove to a serving platter and garnish with chive sour cream and extra chives. 1.) Preheat oven to 275 degrees. 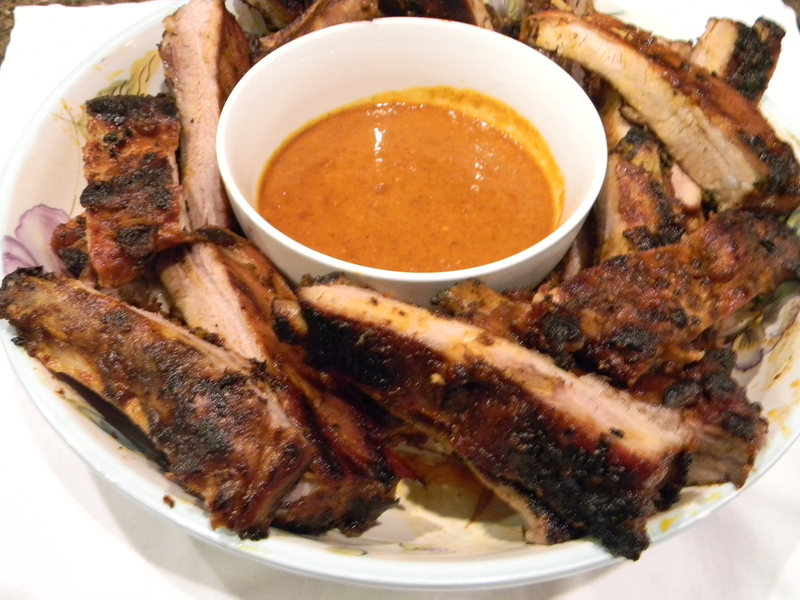 Rinse ribs and pat dry with a paper towel. 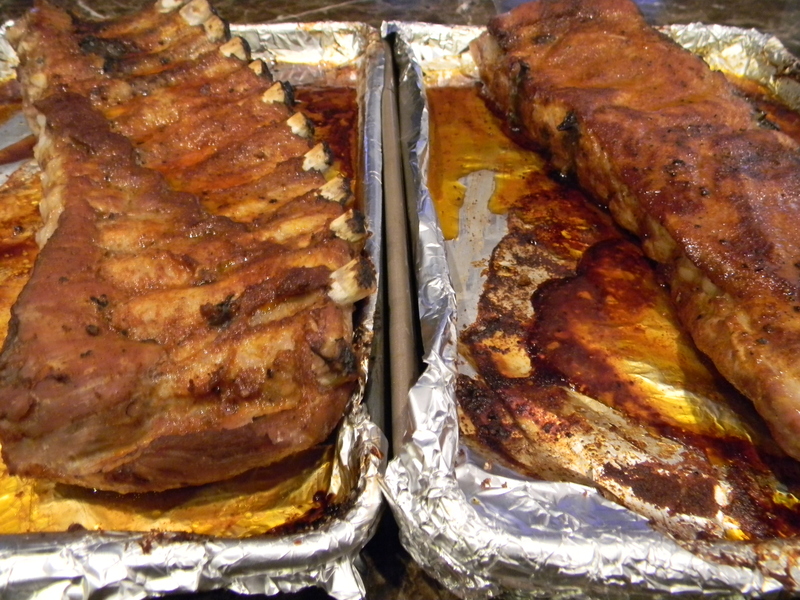 Place one rack on each of the foil-lined baking sheets. 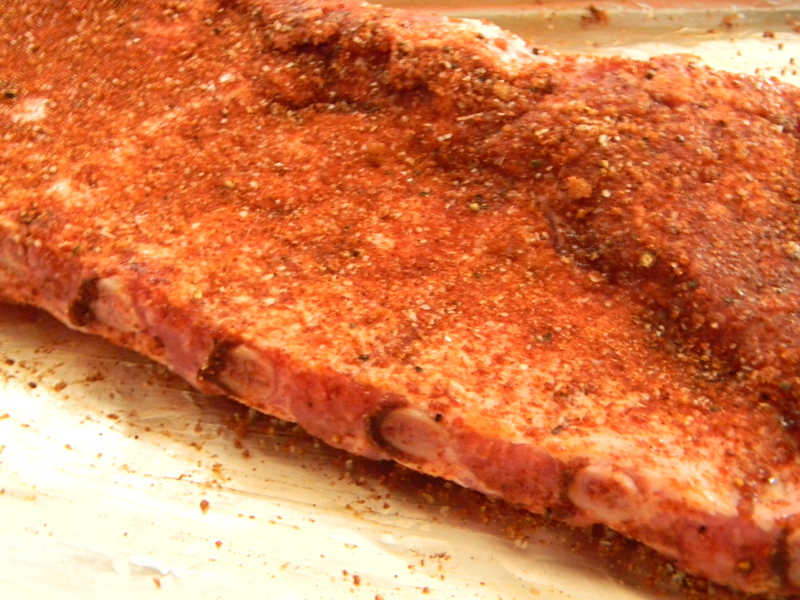 Generously season each rack on both sides with Jen’s Rib Rub, using your hands to pat the seasoning into the meat. 3.) 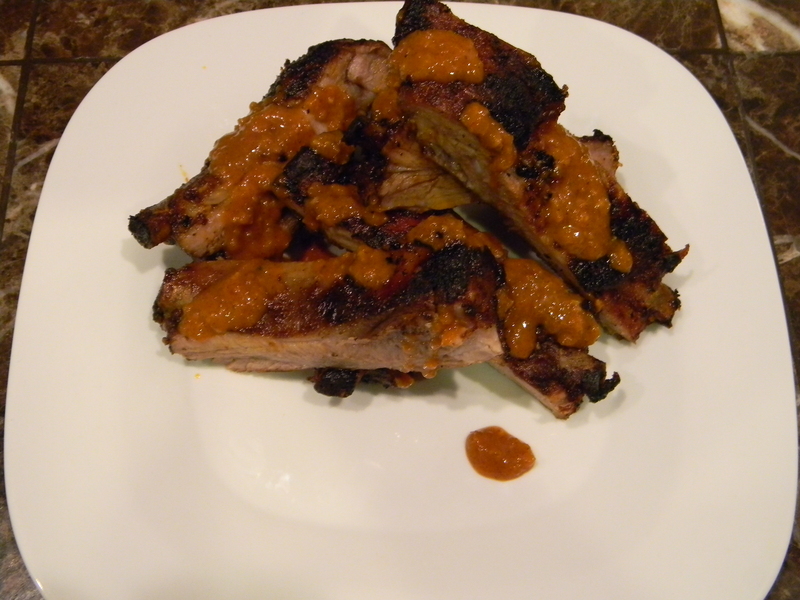 When grill is hot, add ribs. 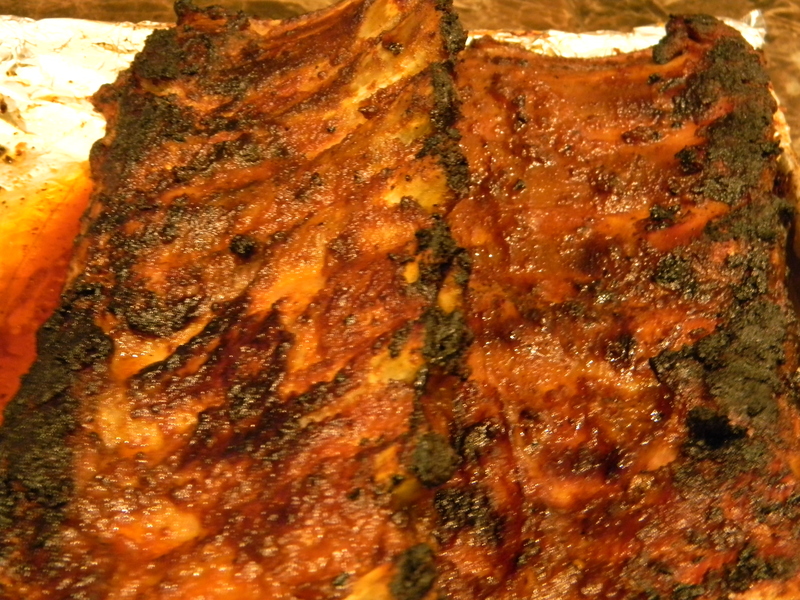 Baste ribs every 5 minutes, turning each time so they don’t burn. They will cook about 20-30 minutes total. Remove from grill to a serving platter. Serve with remaining mop sauce. 1.) Stir all ingredients together in a small bowl. 1.) In a large saute pan, heat oil over medium heat. Add onions and garlic and saute until softened, 3 minutes. Add ketchup, water and beer and bring to a boil. Reduce heat and simmer for 4 minutes. Add the remaining ingredients and stir to combine. 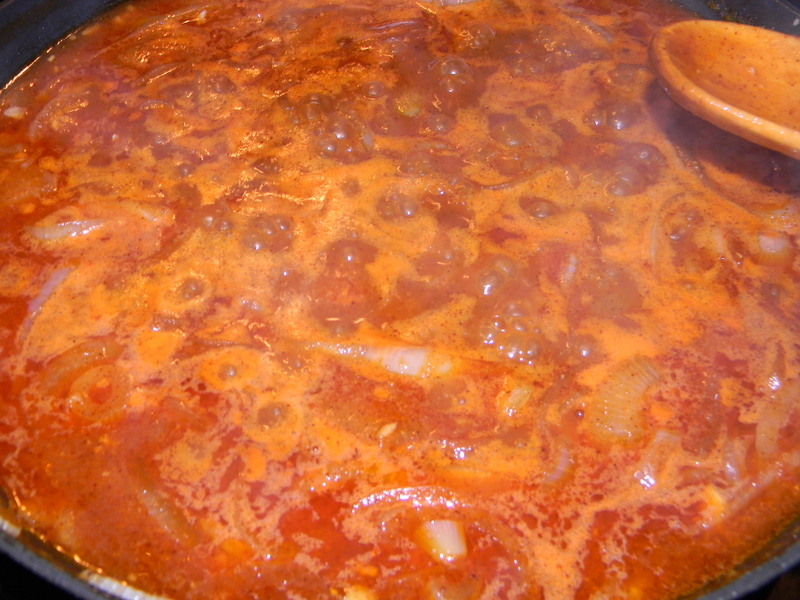 Continue to simmer until thickened 5 minutes more. Remove from heat and let cool slightly. 2.) 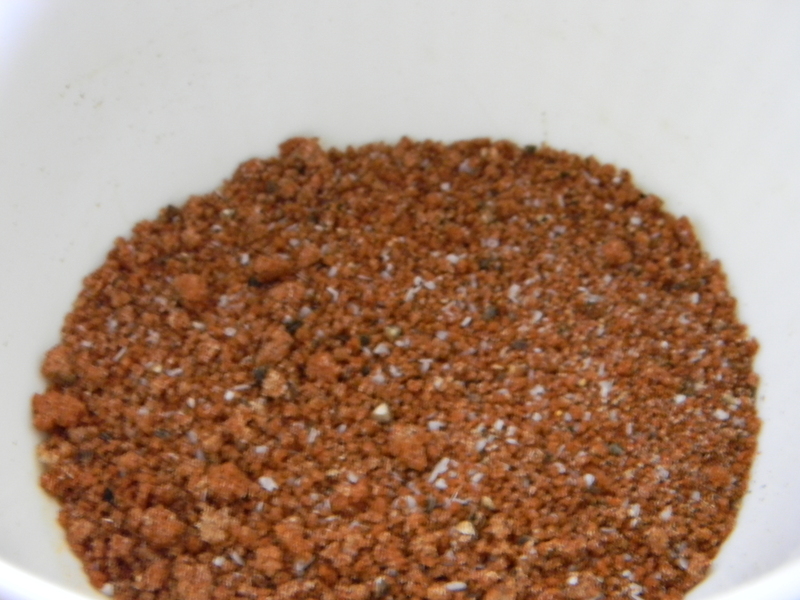 In a blender jar or food processor, puree sauce in batches until smooth. Divide sauce into 2 bowls. Half will be for basting and half will be for dipping/mopping.